RIPOFF have to pay 5 bucks to try it. Then my *** forgot to even think about the possibility for it being a scam. So i got the trial which is bunk, Guys im going to reorder my VIGRX its actially legit and it works and there is no scams. They dont need to scam people because it works. I have taken just about every male supplement out there and bu far the best is vigrx hands down and nugenix does remind me of something i have taken before that didnt work so one guy was right about the relabel. Review #721995 is a subjective opinion of User721995. 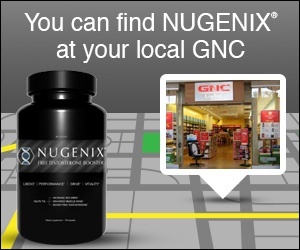 I don't understand why if your VIGRX was working, you switched to Nugenix. You said "ive tryed just about all of them". Doesn't make sense, if you have one that works why are you trying others. Sounds to me like you are a VIGRX hawk.